Here at ClearBags we thrive on new product development. Even though we lead the industry in the large number of stock products we carry, we are still constantly developing new products, modifying existing products, or consulting with our customer on the development of their products. 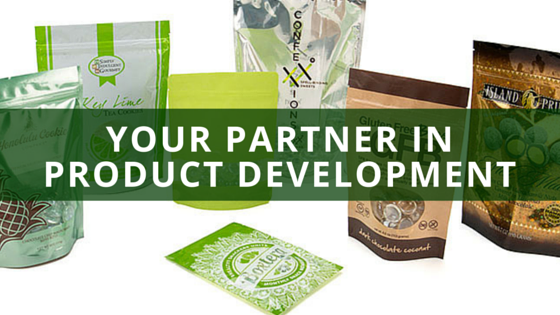 We’ve been developing packaging since we opened our doors over 20 years ago. We are happy to share our expertise, and we’re always willing to consult with our customers as they process through the development of their new packaging. We can provide feedback and direction regarding packaging style, strength, material types and thickness, closure options, etc. Additionally, we offer state-of-the-art printing that can be a game-changer for your product. Although we don’t provide full packaging design services, we are happy to share our insight and offer consultative direction as you process through your new product ideas. One of our latest collaborations on developing products: Company Profile, Penetration Hooks. Johnny Miles of Penetration Hooks came to us with his patented fish hook design in need of a unique packaging solution. A packaging material that would be strong enough to withstand sharp products. A way to cut down on the cost of assembly. A bag that would grab the attention of customers, but without overshadowing the products. After careful collaboration, our Custom Packaging lead, Denae Horneman, along with Mr. Miles and our Industry Expert, Bill Patrick designed a solution that was perfect for retail display. The end result was a new 6mil bag that offered great protection, durability, and could visually captivate customers. Due to the thickness of the material, there was no issue with the hooks destroying the bags. And by taking the step over to custom printing, the cost of assembly went down with the elimination of insert cards and the labor to place them in. We have enjoyed working with Johnny in developing a unique and innovated packaging design for the fishing industry. Penetration Hooks will be one of the first to showcase this design and is working hard to promote their product to large markets. Penetration Hooks has designed a product that not only fit closer to the bait, but further down, giving a fisherman a perfect hookset with one of the sharpest hooks on the market. For all those avid and leisure fisherman out there check out their website for all your hook needs. We are excited to announce that because of our higher volume orders and our ability to improve and automate our order fulfillment processes, we are eliminating our Minimum Order Fees, effective October 1st! Because we have been able to better service our smaller customers on our ClearBags.com wholesale website, we have eliminated our retail site ClearEnvelopes.com. With reduced shipping pricing and no minimum order fees, ClearBags.com is the best option for even smaller orders. Visit us on Amazon.com for additional order size and shipping options.